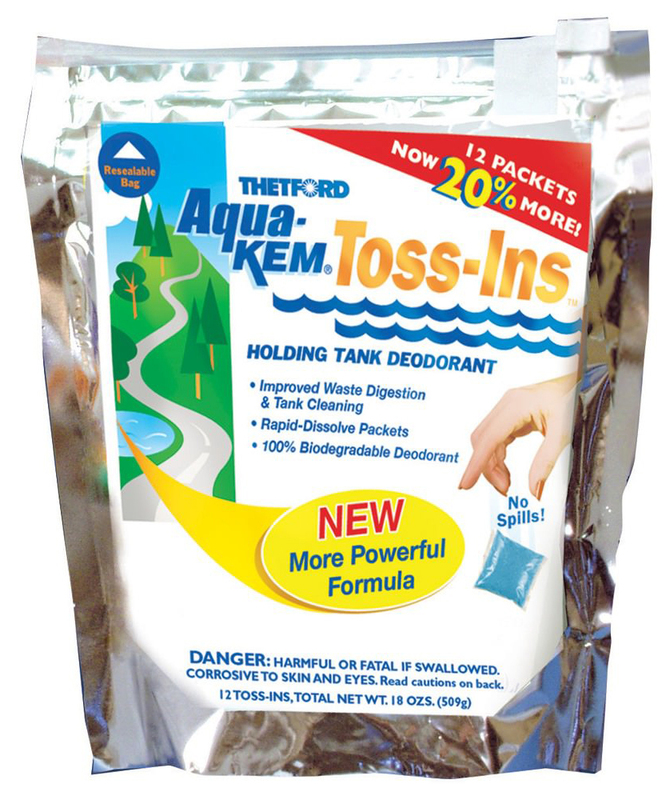 36535 10 pack 1oz Aqua Kem Toss-Ins - This Thetford holding tank deodorant comes in water soluble packs that are pre-measured for convenience. They have a fresh, pleasant scent and are specially formulated for RV and Marine holding tanks as well as all portable toilets. They are biodegradable and Septic tank safe. 10 pack of 1oz toss-ins.